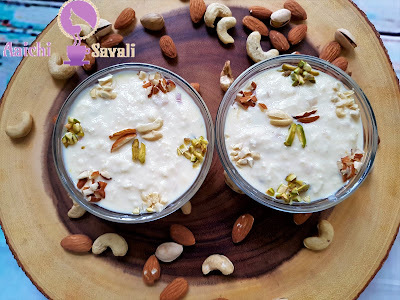 Rabri is the layers of Malai and tastes heavenly. It is traditional Indian dessert recipe. Prepared by using main two ingredients that are whole milk and sugar, by boiling whole milk until it reduced its quantity. 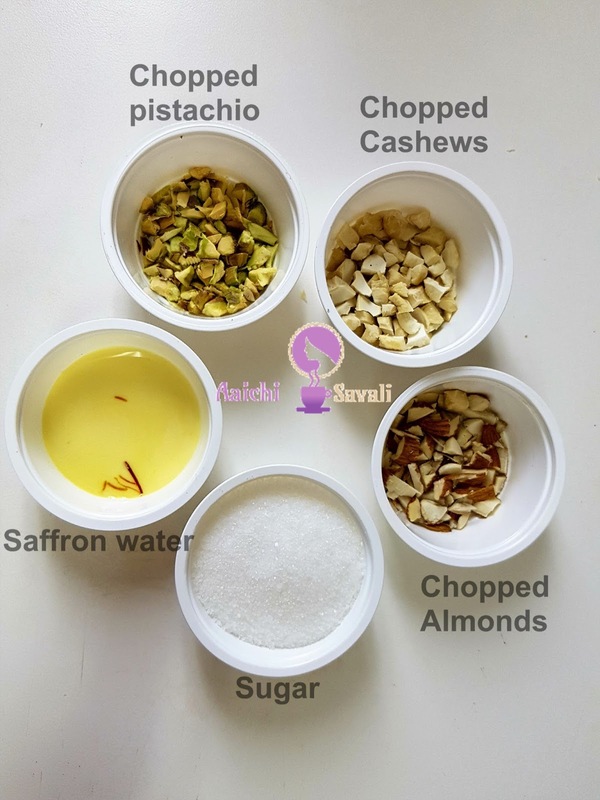 It is flavored with saffron, almonds, cashews, and pistachios. 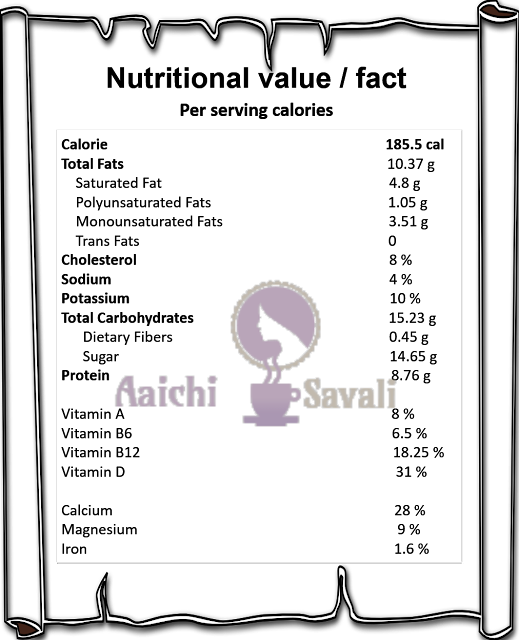 Lovely creamy texture and it is truly indulgences and a yummilicious sweet. 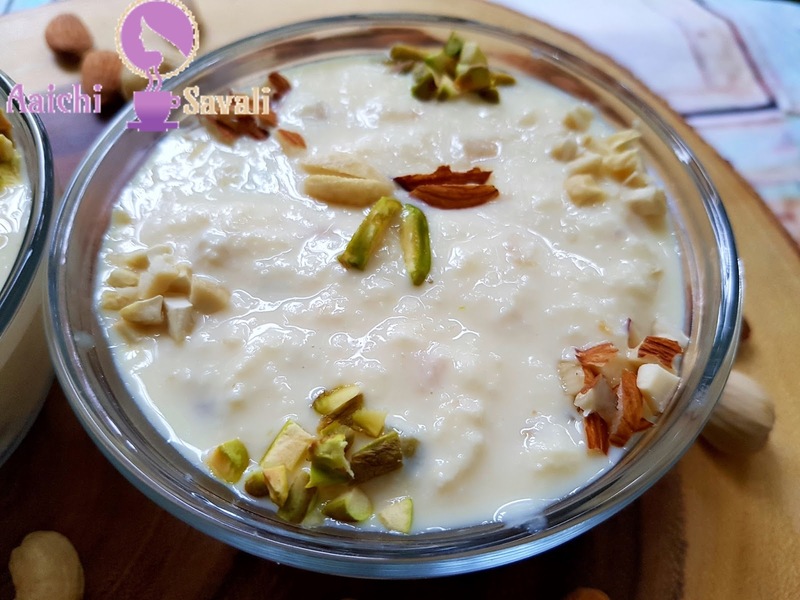 This is one of the easiest, fastest, but still rich dessert recipe and it is often a part of celebrations and festivals. Rabri tastes well both hot as well as cold. Each serving carries 185.5 kcal. Move the layer of foaming from boiling milk towards the rim, do the same as milk foams again. Keep doing this until milk is about ¾ in volume. After about 20 minutes add sliced almonds, pistachios, cashews and saffron milk and mix all well. Now, add sugar 2 tbsp, continue to stir and boil, until it is ¾ in volume. Turn of the flame, remove the cream from the rim and fold it into milk. Here, layers of Malai, sweet and delicious Shahi Rabri is ready to serve, it taste best when it is served chilled. Enjoy!!! Per serving contains 185.5 calories, along with carbohydrates - 15.23 g, fats - 10.37 g, proteins - 8.76 g.
I love to eat rabdi with jalebi. Very nice recipe. Thanks for sharing. Yes Rabdi and jalebi is nice combination. Thank you Vandana Mathur for stopping by. I am glad to know that you liked it.